The resource-efficient business research group of Turku University of Applied Sciences has collaborations with a wide range of companies. We offer the fresh expertise and innovation potential of our students as an asset for companies. We also unite companies to create new networks where resources and expertise can be shared. Applied Sciences. Our operations combine the needs of the region’s businesses and the training of students in the field. We want to actively provide services to companies and students as well as genuine, work-based development tasks and projects at various stages of the studies. The work is guided by team expert teachers and project specialists. idea, knowledge or other practice that can be utilized in working life. Innovative pedagogy and close co-operation with working life enable the student to be able to use the knowledge and skills learned in the university in practice. on the company’s need and the assignment that we always discuss with the company. Check out our exclusive service offering and contact us and we will be working together to give you the best service for your business! are involved in generating waste management training internally (WastED courses). Come and work with us on circular economy experiments – we help all kinds of companies with all kinds of circular economy pilots through this project called TRY OUT! In all the cases above, you can contact us and we can discuss the possibilities of collaboration. 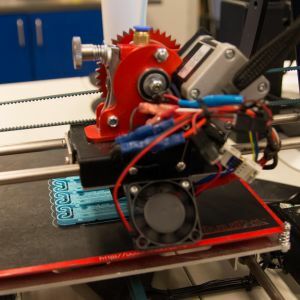 “Recycled plastics in 3D-printing” is a joint project with Turku University of Applied Sciences, Arcada University of Applied Sciences and Finnish Environment Institute (SYKE). Project is implemented in close co-operation with the companies mentioned below. The project will investigate recycled plastics’ potential as 3D-printing material and related business opportunities from business needs. In the beginning of 2016 an end-of-life textile pilot project was launched in the collection area of Lounais-Suomen Jätehuolto. 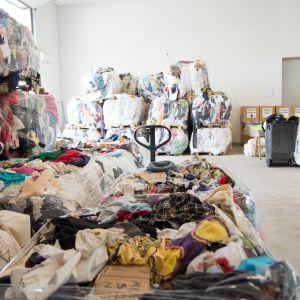 The wish is to open doors for textile waste recycling.